In the last year, Telltale Games has become one of my favorite game developers. They have, in my mind, supplanted BioWare as the foremost developer of mainstream, story-driven games. For the uninitiated: Telltale makes episodic adventure games based on existing franchises. They’re shorter chunks of content that come out over a period of time rather than all at once. Usually a single episode about 2 hours long with 5 episodes in a season. They’re heavy on story, dialog, and simple puzzles. They aren’t “difficult” per se. It’s more about experiencing the story and characters rather than developing gameplay skills. It’s kind of like an interactive TV show or a choose-your-own adventure book, but less dumb than that sounds. The company had limited success until recently. They made a lot of licensed games that were either based on obscure properties (like Homestar Runner or Sam & Max) or more well-known franchises like Back to the Future or Jurassic Park. The obscure ones didn’t sell as well because of their obscurity and the big name franchise games weren’t well received. The first Telltale Game I played was Strong Bad’s Cool Game for Attractive People which, as a big Homestar Runner fan, I thoroughly enjoyed. Last year, Telltale had their breakthrough success: a series based on The Walking Dead. Many, including myself, consider it their 2012 Game of the Year. Walking Dead changed things up a little bit. Over the course of the five episodes, puzzles were pretty much abandoned altogether. The main game mechanic became making choices. Who do you save? Who do you share your limited supply of food with? Who’s side do you take in an ugly dispute within your group of survivors? It might sound strange, but this works surprisingly well. It’s far more engaging than yet another zombie shooter would have been (…and was). In fact, it ranks as one of my favorite games ever. I played the entire saga at once. I was completely enthralled the whole way through. The Walking Dead is perhaps the most gut-wrenching piece of media I’ve ever experienced, but the story blew me away and left me in tears. I love it. But I’m a little worried about Telltale now. Was Walking Dead just an anomaly or have they really figured out the magical mix of gameplay and game writing technique? We shall see. Season 2 premieres next week. I’m desperately curious how they’re going to pull off what they’re attempting. Recently, Telltale announced it will be doing two new series in the coming year: a series based on Borderlands and one based on Game of Thrones. With season 2 of the Walking Dead and the currently-running series The Wolf Among Us, it’s entirely possible that Telltale will have four concurrent game series come 2014. For a company that made only one game last year that’s quite a big leap in output. This is what really has me concerned. 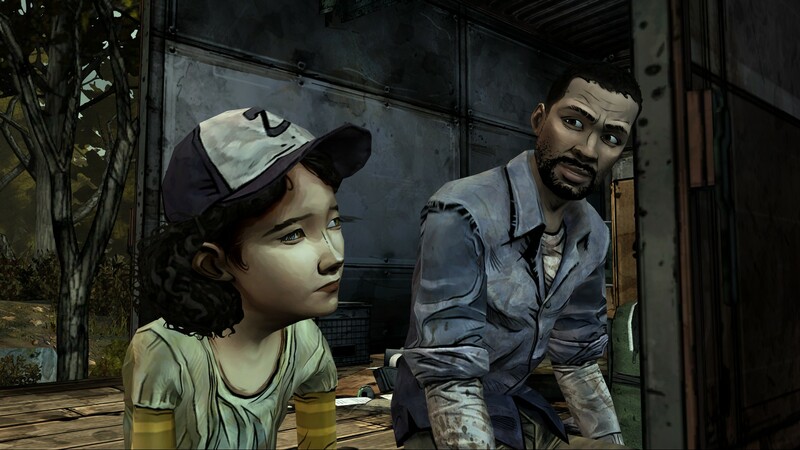 Is Telltale biting off more than it can chew? They’ve hired a lot of new employees in the last couple of years. Rapid expansion is risky in any business but in a creative industry it can be especially problematic. They’re not building a bunch of new coffee shops or burger joints. They’re building story-driven franchise. They’re hiring people to make creative decisions and make things no one has ever made before. Good creative products always require talent – not just money and manpower. That isn’t something you can just buy. You can hire people you believe to be talented, but it’s always a bit of a gamble. Quick growth means you have a lot of new blood that might not understand the culture and ethos of the your company and the products you’re trying to build. Point is: I like the Telltale that gave us Season 1 of The Walking Dead and I hope their success and growth as a company doesn’t translate into a reduction in quality. I have no reason to think that yet. The Wolf Among Us is supposed to be great. I’ll be giving it shot soon. As for the new games announced, Game of Thrones makes all the sense in the world. I don’t have any first-hand experience with the franchise myself. Never read it; never watched it, but from all I’ve heard it sounds like a great candidate for a Telltale-style adventure game. Making difficult choices and dealing with fascinating characters in life-and-death situations worked well in the Walking Dead’s universe. I’m sure it’ll work great in Westeros. I am curious what story they’ll tell. By necessity it almost has to be some kind of side story. Obviously you can’t retread the events of the books because that will limit player choice and spoil the mystery of what’s going to happen. With Walking Dead, there are as many stories as you care to tell: just make up a group of survivors. Maybe it’s the same way in Game of Thrones? I guess it could be similar. Sounds like more characters get killed off than in Walking Dead. Tales from the Borderlands was the announcement that really surprised me. I guess in one way it makes a lot of sense: it really fits Telltale’s established art style. But when I think of Borderlands story is waaaaay down on the list of reasons to play it. It might not even make the list. Borderlands 2 executed its story about 1000 times better than the first game, but that was kind of irrelevant. As long as the game had a billion guns and some wacky dialog we would have played it. I just wouldn’t have thought of this as a franchise ripe for storytelling. I’m sure it’s possible to make something enjoyable out of it. The tricky part will be getting players to care about the world and the characters. They’ve all been pretty disposable up to now. Amusing distractions in between shooting stuff, but that’s it. My guess is they’ll go for comedy over drama. That’s probably good route to take because all of their other licenses are likely to play out as tragedies. Not everything has to be as emotionally gripping and meaningful as season 1 of The Walking Dead. According to the trailer, a lot of people are still going to die in this one, but at least Handsome Jack’s laughing it off.